Since this unattended upgrade (excerpt from /var/log/apt/history.log), Firefox seems to be unusable because of rendering problems. 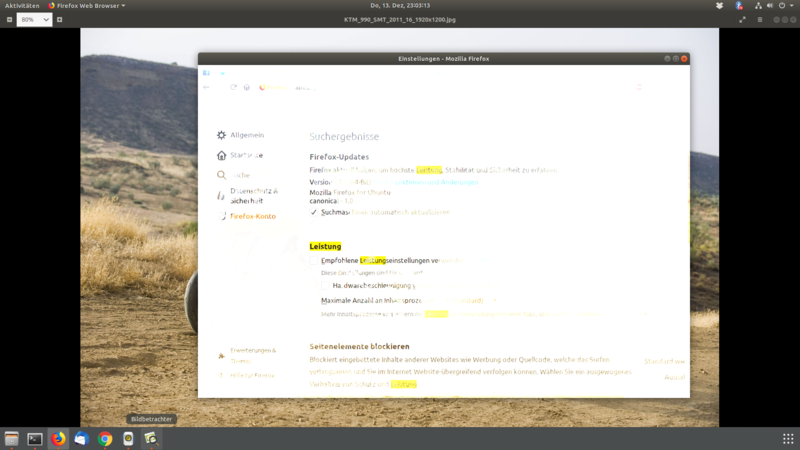 The content in the main window is kind of transparent. But it didn't fix anything. The problem looks like this. Notice the front wheel of the motorbike image behind Firefox appearing in the image from the new tab page. This got me thinking, the parts of the new tab image, that are over dark parts of the image behind it, appear kind of normal. 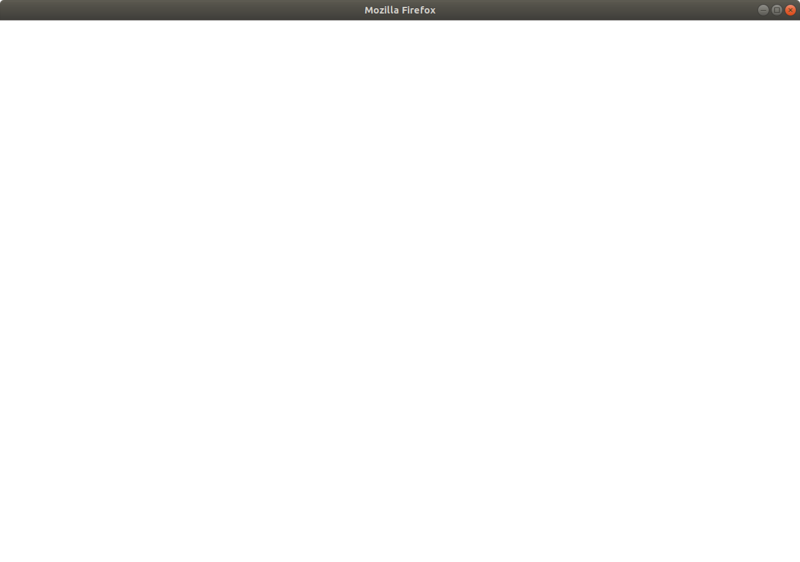 So i created a black.png and have this (directly) behind Firefox. This looks like this, quite normal, as expected. 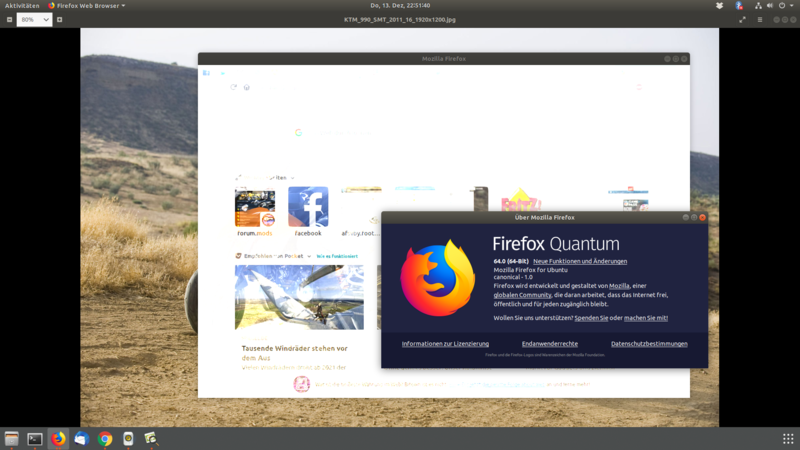 The About Mozilla Firefox window seems not affected, even when the image is acquired by AltPrint. For the main window, creating the image by AltPrint is even worse. Only the window decorator is there, the content of the window is completely transparent. 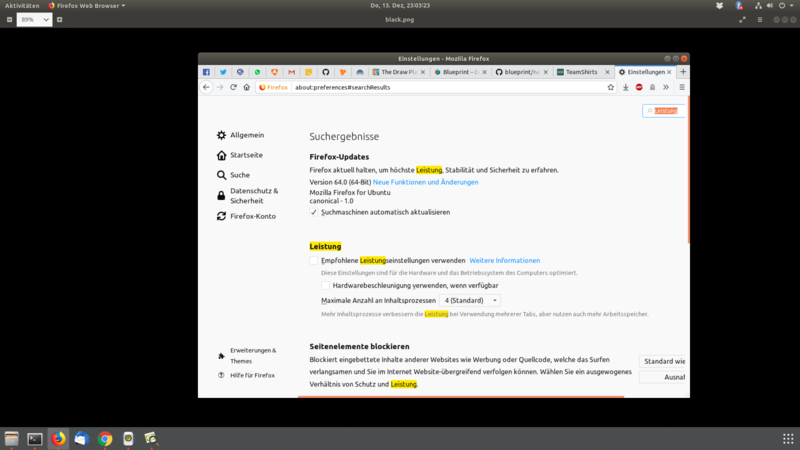 So it seems like the value/lightness (as in HSV/HSL) from the pixel in the application behind Firefox controls the alpha/tranparency value for that pixel in Firefox itself. After some googling I suspected the hardware acceleration. But turning it off made no difference. The only thing that helps, is a black background. It's the same with thunderbird, but there are no rendering problems. Up to now, I'm out of ideas how to fix this. Does anyone else is having these issues? Where to file a bug for this? Mozilla? Canonical? I consider this a problem in Firefox, because Thunderbird is not affected. No other (bionic) application seems to be affected, too. I can't decide if this is a packaging problem or really a Firefox problem. Any help? edit: Just for reference: My graphics card is a Gigabyte GeForce® GTX 1060 G1 Gaming 6G. Having the same problem, and can't find enough info about it online! For me, setting layers.acceleration.force-enabled to true in about:config fixed the issue, but I took a big hit in performance and FPS of my videos. There was visible stuttering. In another answer in the Mozilla Support Forum, one other solution that was suggested and indeed fixed the issue was changing gfx.xrender.enabled to true, instead of forcing hardware acceleration. I don't know which of the two is better. Found a solution, but I'm not sure how this became an issue in the first place. Quite generally looking for graphics problems in Firefox I stumbled upon this answer. I was looking in about:config for the value of the option layers.acceleration.force-enabled and found it manually set to true. After resetting it to the default value of false and restarting Firefox, the issue is completely gone. So for my situation the solution was the opposite value to the one suggested by the other answer. Not the answer you're looking for? Browse other questions tagged nvidia 18.04 firefox or ask your own question. 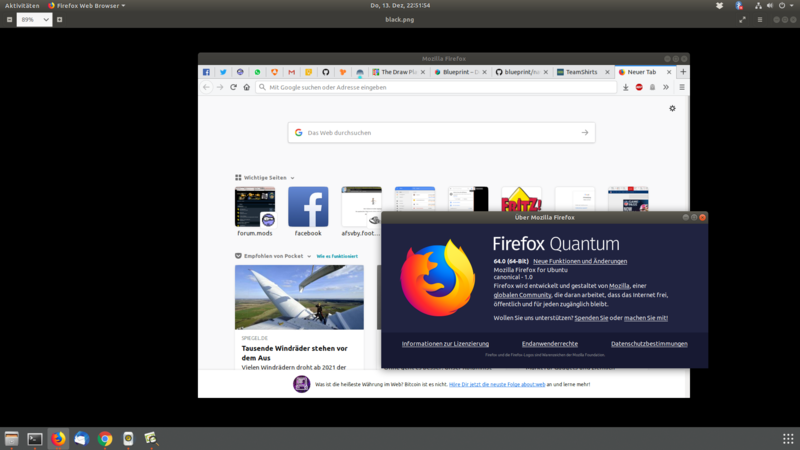 Why is Firefox on Ubuntu choppier than Firefox on Windows? How to clear a Firefox address bar without selecting its content? How do I get a transparent page/screen in Firefox?